Want to learn more about early years education? Come along to our early years conferences 2016. Every conference is packed with seminars, workshops, and demonstrations to fill you with ideas to take back to your classroom. Read on to find out what’s in store at Childcare Expo. Childcare Expo is dedicated to sharing the newest and most innovative teaching techniques to those in the industry. Everything shown at our 2016 early years conferences is designed to make learning a fun and engaging experience. You can expect to discover new ways to explore learning through play and imagination, as well as the best ways to encourage a child’s mental development. No matter which part of the childcare sector you work in, from nursery managing to childminding, you are sure to get something out of our 2016 conferences. We have many interactive workshops held by some of the leading experts in the childcare industry. Everything shown in our early years workshops is affordable, and can be adapted to suit your own learning environment. You are also invited to come along to our seminars which discuss a wide range of topics such as early years communication and outdoor learning. All seminars are clear, informative, and will give you plenty of inspiration for your lessons. For every seminar you attend, you will receive an electronic CPD certificate. Why come to Childcare Expo? Childcare Expo 2016 is a great opportunity to network with other people in the industry. You will be brushing shoulders with some of the most well known faces in early years education, and have the chance to chat with many other likeminded professionals. This means you can gain tailored advice from the childcare experts and make invaluable contacts. As well as an array of workshops and seminars, we also have companies and brands showcasing their early years products. Make your way round our Shopping Village and explore thousands of supplies and teaching resources including books, stationery, and more. In case that wasn’t enough, you can try the products out for yourself and receive exclusive discounts if you choose to make a purchase! We guarantee that you will be filled with new and exciting ideas to bring back to your classroom by the time you leave our exhibition. Our early years conferences in 2016 are free to attend, so register today to make sure you don’t miss out one of the most popular events in the childcare calendar. 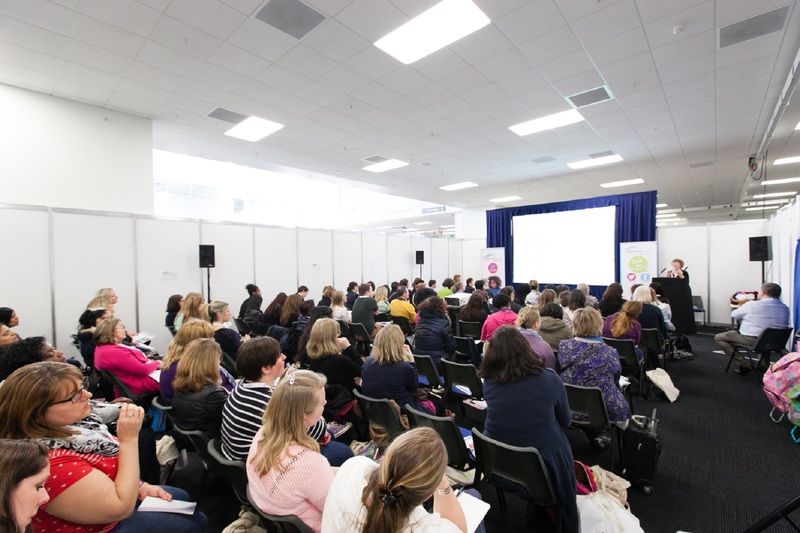 To find out more about our 2016 early years conferences, call us on 01425 838393 or send an email to info@childcareexpo.co.uk.